Discover out-of-the-way places like Seurasaari Island and Open-Air Museum and Natural History Museum (Luonnontieteellinen Museo). Kansallisgalleria and Mannerheim Museum will appeal to museum buffs. 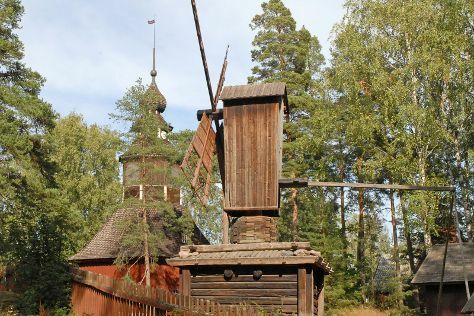 Explore Helsinki's surroundings by going to Halosenniemi Museum (in Tuusula) and Porvoo (Cathedral of Porvoo, Runeberg Park, & more). There's lots more to do: wander the streets of Katajanokka, indulge your thirst for a good beer at Stadin Panimo, explore the different monuments and memorials at Hietaniemi Cemetery, and test your problem-solving skills at popular escape rooms. To find traveler tips, reviews, other places to visit, and more tourist information, read our Helsinki visit planner . Quebec City, Canada to Helsinki is an approximately 15-hour flight. You can also do a combination of train and flight; or do a combination of flight and ferry. Traveling from Quebec City to Helsinki, you'll lose 7 hours due to the time zone difference. When traveling from Quebec City in June, plan for a bit cooler days in Helsinki, with highs around 21°C, while nights are about the same with lows around 11°C. Wrap up your sightseeing on the 5th (Wed) early enough to travel back home.